Instagram story allows you to share short vertical videos with your followers that will automatically disappear after 24 hours. There is a time duration limit of 10 seconds, which is now extended to 15 seconds for Instagram story videos. Sometimes, you want to post videos longer than 15 seconds on your Instagram story. Here we have a simple workaround to fix this problem. You can split the video in a number of parts such that each part is of 15 seconds and then post them on your Instagram story sequentially. This tutorial will guide you how to split the video and post videos longer than 15 seconds on your Instagram story. Instagram has added a built-in feature to split the long duration videos for story. Moreover, now you can also adjust the screen size of landscape videos in story. Open Instagram app and swipe right or tap the camera icon at the top-left corner of the screen. Now select the long duration video you want to add to your Instagram story. At the bottom, you will see a few clips of the video which Instagram has split in 15 seconds duration each. Tap of the first clip and post it to your story. Similarly, post other clips of the video one-by-one. 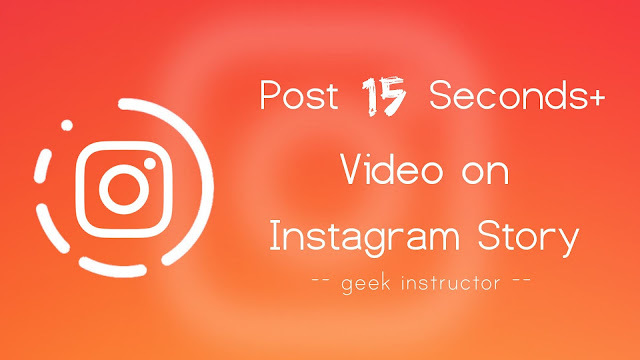 That's how you can post more than 15 seconds video on your Instagram story. Download and install Story Cutter app on your phone. Open the app and tap Gallery button. 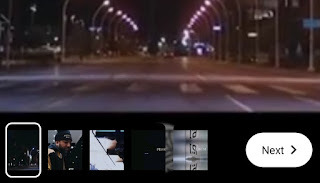 Select the video you want to split. 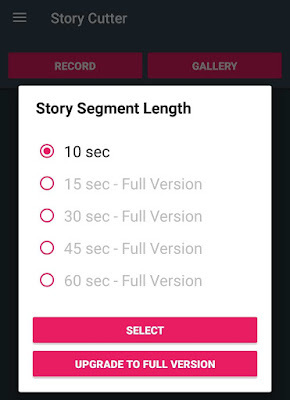 Now select the story segment length to 10 seconds. Once the app has finished splitting the video, post the 10 seconds clips on your Instagram story sequentially. That's it. The free version of this app allows you to split the video into 10 seconds clips only. There is another app available called Story Split which allows you to set the clip duration manually. We hope you find this guide helpful to post long duration videos on your Instagram story. If you want to ask something, feel free to share it in the comment section.